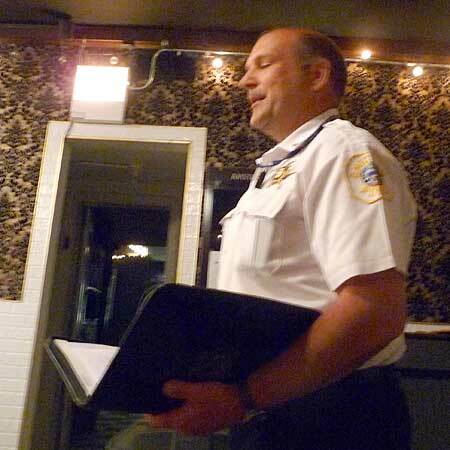 A year after taking over Chicago's Wood Street police district, Frank Gross has his second appointment with East Village Association on Monday. This time his command's days are numbered: Police Supt. Garry McCarthy closes two stationhouses today and Gross' 13th District squadroom will follow in the fall. Construction of a replacement site in a merged 12th District began in May but stalled six months later when asbestos was discovered at 1412 S. Blue Island Ave., granting the 13th District a temporary reprieve. A working group to weigh the future of the Wood Street site is now being organized. McCarthy's cost-cutting squad consolidation sharpens the neighborhood focus on 13th District crime. This year through Feb. 25 police report a Feb. 9 homicide at the Subway restaurant at 1129 N. Western; a Feb. 21 sexual assault on Warren Boulevard, 35 robberies (most recently Feb. 24 on the 2300 block of West Chicago Avenue) and 26 aggravated assault or battery incidents (four on Feb. 23 and 24 alone). The string of violent crimes and community alerts on property crimes have been marked in noted public safety forums and a Thursday Save the Wood Street station rally. Joining Cmdr. Gross March 5 is EVA member Molly Murray, the district's East Village neighborhood coordinator, who can lend her thoughts on personal safety and the community response to crime. Opening the meeting is a short introduction to the StudentXpress citywide student newspaper. Other topics will fill the agenda following the 7 pm presentations at Happy Village, 1059 N. Wolcott. Irar Sweiss of Move N Pick Convenience has asked to present his business plan for the Red Apple Convenience store at 2000 W. Chicago Ave., which seeks a liquor license. When Cmdr. Gross addressed EVA in June, crime surfaced as a prime concern as Walgreens unsuccessfully sought neighborhood approval for a package-goods license at 1650 W. Chicago Ave. 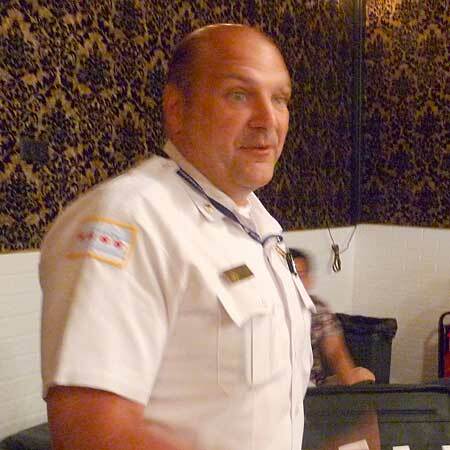 Debate intensivied after a package-goods hold was lifted without a hearing for the CVS pharmacy at 1200 N. Ashland. On EVA's planning agenda, a larger triangle of open space surfaced last week in plans for an apartment block at 1601 W. Division. EVA volunteers will recap the development's 1st Ward hearing. Finally, EVA members will approve officers for the next 12 months.